And yes! Today home, after a hard day at work and not feeling particularly well I stumbled inside my house and tripped over two… two… parcels!! 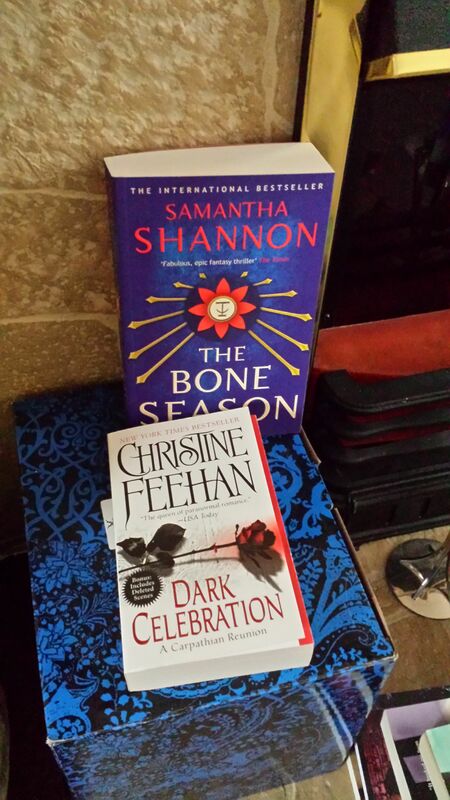 First we have The Bone Season – I won this one on Twitter with a competition with Glamour UK. I can’t wait to start this one. And second we have Dark Celebration – this is a signed copy from Christine Feehan herself! EEEEEKKKKK!!!! Aren’t they pretty pretty books?? Getting books in the mail is the best feeling ever!